Use a small wedge of grapefruit to moisten the rim of a glass and then dip in rokz Lemon Infused Cocktail Sugar. Fill glass with cubed ice. Pour rosemary simple syrup* over ice then add vodka and juice. 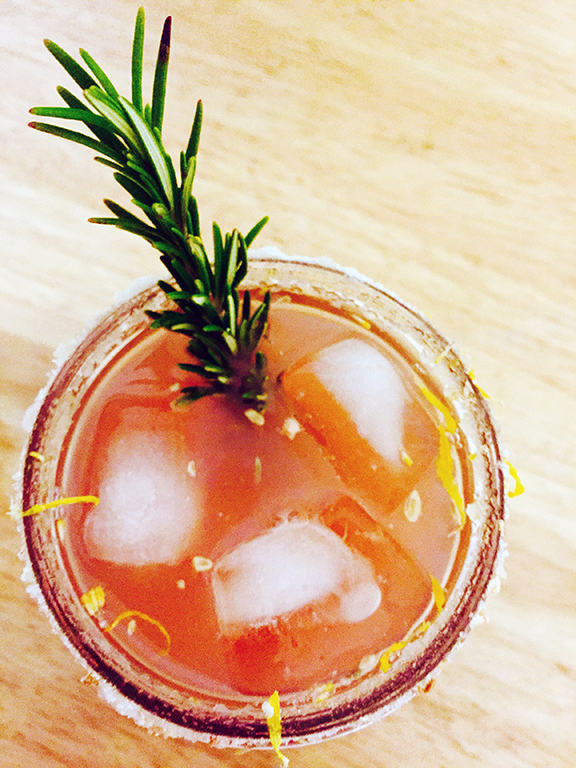 Stir well and garnish with a sprig of rosemary and a slice of grapefruit. *rosemary simple syrup: bring 1 cup brown sugar and 1 1/2 cups water to a boil remove from heat and add a sprig of fresh rosemary. Stir well and steep until cool. Strain out plant material and store left over syrup in the refrigerator. It is great for adding a little flavor to a salad dressing or marinade.